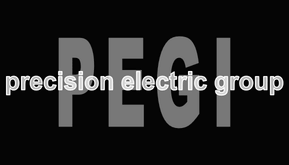 Welcome to Precision Electric Group, Inc.
​Precision Electric Group, Inc. (PEGI) has been a leader in solving the Pacific Northwest's electrical problems and needs for over 25 years. Our mission is to provide our customers and clients with good service at a fair price that's done right and on time. Client commitment is the foundation of any successful business. Precision Electric Group, Inc. provides unparalleled customer service and installations. Our commitment starts with ownership and continues on through all field personnel. Precision Electric Group, Inc. has developed a culture of diligence among our staff in support of our customer. Decisions are made at all levels, quickly, educated and beneficial to all. The result of our commitment is everyone working together to achieve more as a TEAM. At Precision Electric Group, Inc. we see our success through the eyes of our clients and customers.